Select 1 face-up monster your opponent controls. 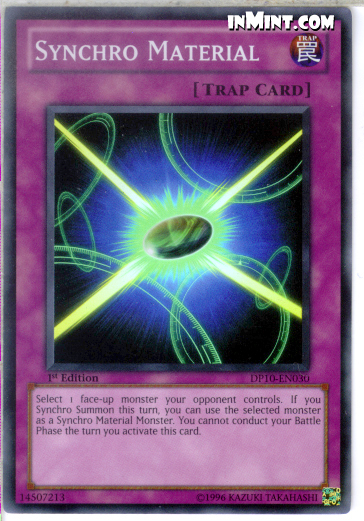 If you Synchro Summon this turn, you can use the selected monster as a Synchro Material Monster. You cannot conduct your Battle Phase the turn you activate this card.